This grooming set far exceeded my expectations. Of course I read the description before purchasing, but I must say I am very impressed with the quality of this item. It comes in a leather zippered case and the instruments, for which there are many, are of superb quality. This item is an absolute steal for the price. Trim, clip, and groom your way to a new look with this black leather 14-piece grooming set. 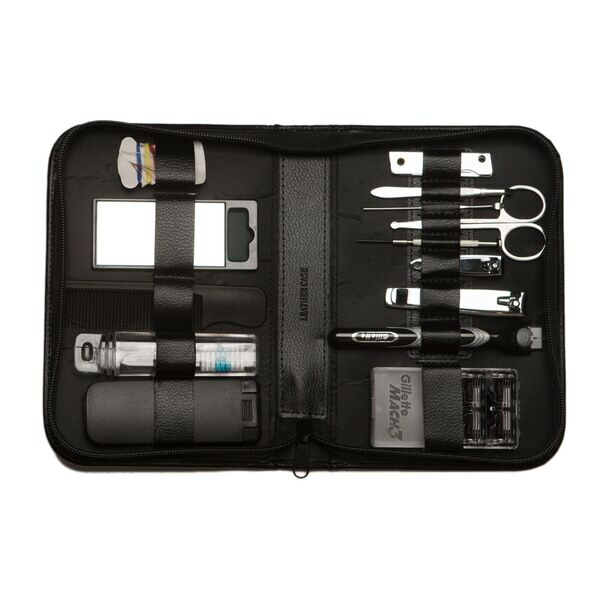 A handy case keeps each piece neatly organized, and the stainless steel tools deliver durable construction.